Husker Law is a general practice firm with several select areas of focus. 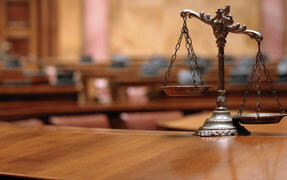 We represent clients who are facing various legal issues — from straightforward cases to the most complex. Our goal is to form a lasting relationship with you so that we become your first point of contact for all your legal needs. If you are considering filing for bankruptcy in Nebraska or Iowa, your first step should be to contact a knowledgeable bankruptcy lawyer. To find out how we can help you protect your assets and file for bankruptcy in an efficient and cost-effective manner, please contact us. Whether you need an Omaha lawyer for bankruptcy, divorce or another legal matter, we can assist you. To schedule a free initial consultation, call Husker Law at 402-415-2525 or contact us online. We offer flexible scheduling and payment options. Spanish interpreter services are available upon request.